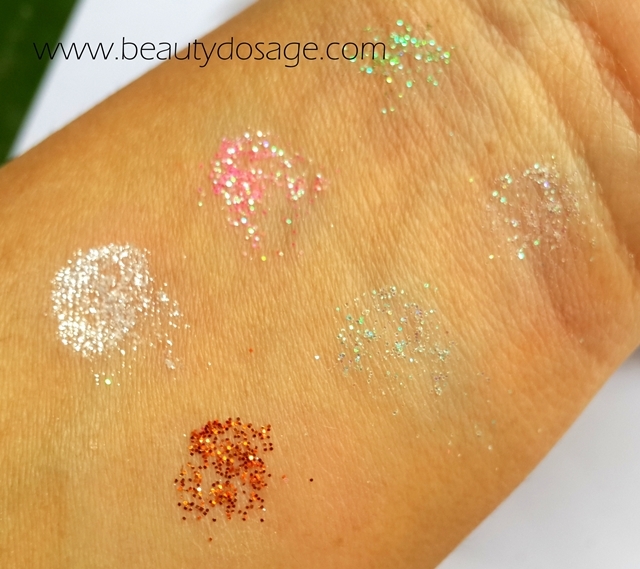 So today I’m reviewing this 12 piece pigment/ glitter set from born pretty store which you can get HERE for $6.59. 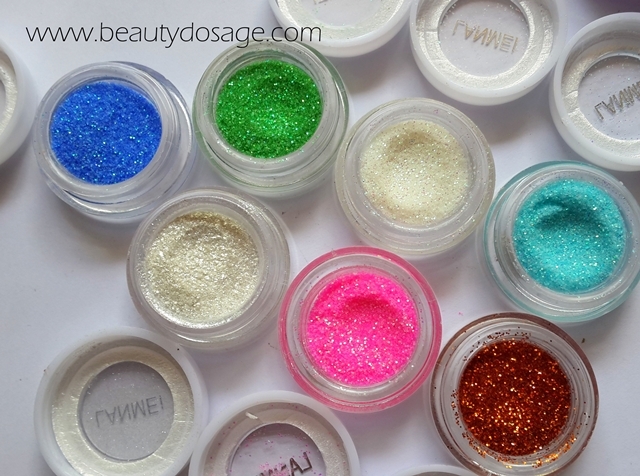 This set has 6 pigments and 6 glitters of cosmetic grade. 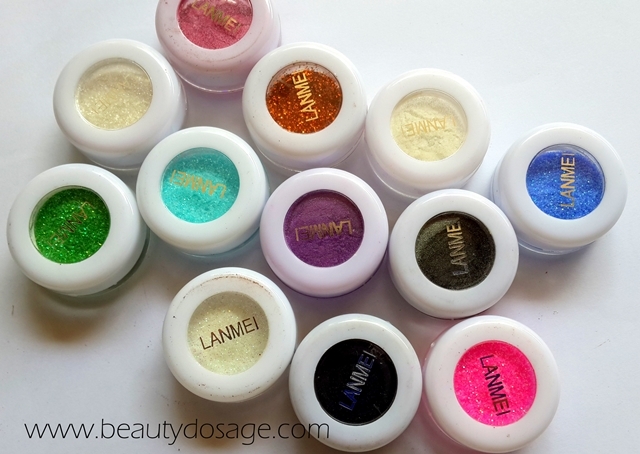 12 colors Eyeshadow: Blue, Purple, Blakc, Glitter Purple, Coffee Brown, Pink, Glitter Black, Orange, Glitter Orange, Glitter Green, Shiny Green, Aqua. Very good quality, low price! I suggest using a synthetic brush as it’s easier to do that way and doesn’t harm your brush. To remove it, you just need to use your normal eye makeup remover. The one complaint I have with these are the packaging. It’s a small pot with screw on lid and very easy for the product to spill. I wish it had a sifter to bring a little product to the surface. The pigments are a hit or miss and I find the darker shades are the ones most pigmented but for the price I don’t mind that at all. The shades in this set are really pretty and very friendly for the upcoming season. 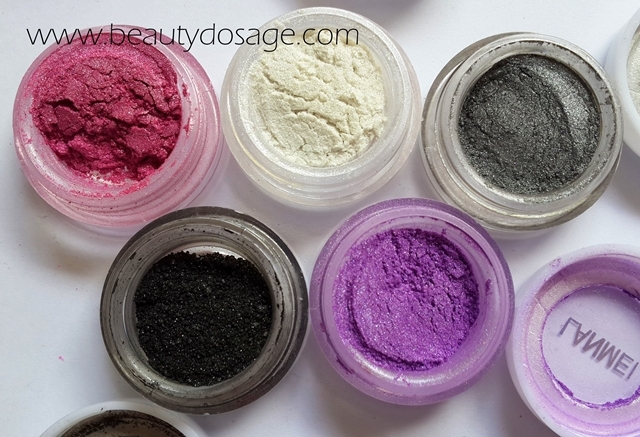 I suggest you go for it if you’re eyeing the glitters of dark shades of pigment. 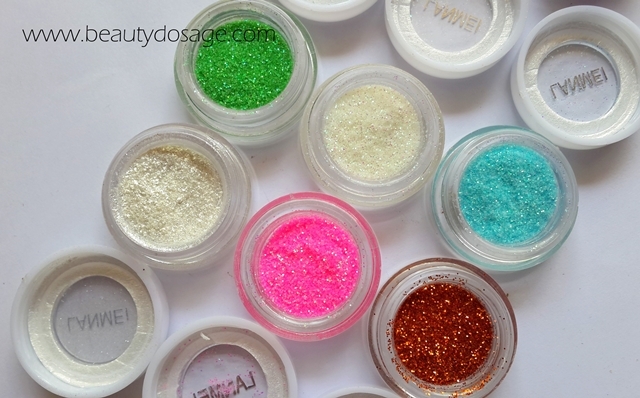 It’s a great kit with variety for beginner’s interms of glitter. Works lovely with eye lash glue which makes me so happy so that I don’t have to buy glue extra for it. 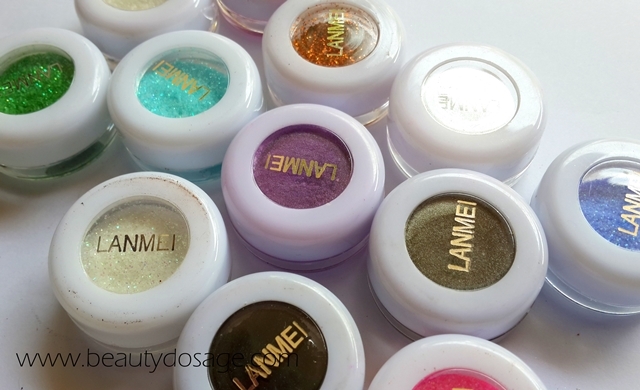 The shades are simply gorgeous and wow!! Nice shades. 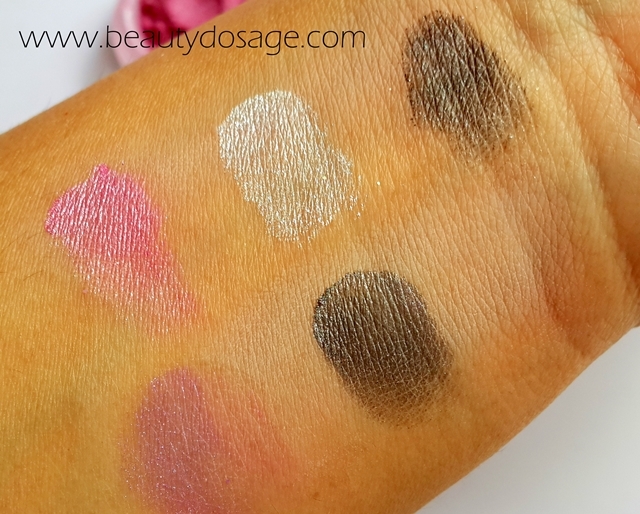 The pigment looks okay.